Rainhart, Philomena and Holle slipped out of the palace. They went down to the garrison to gauge its size and plant some suggestions in the mind of the commander, then they left Breg and made their way back to the estate, an hour&apos;s ride from Breg, where Tancred had set up command. When they delivered the news of Valdon&apos;s flight to Tancred, he swore inventively, uttering words Rainhart had never heard him use. Then he took a deep breath. "My apologies," he said, grimacing. Alongside Holle, Philomena and Rainhart, Konrad and the leaders of Leutz and Mittelwalde were standing around the table in the little parlour. "You said what we were all thinking," Konrad responded. "I assume he has withdrawn to his properties at Traumwald," said Tancred. "He wants to have this confrontation on his own ground, and knew he couldn&apos;t trust Breg to stand with him." "This also gives him an opportunity to pick some of us off as we march through Cimbra territory," said Rainhart. "And pushes the confrontation closer to winter," Holle added. There were murmurs of assent. "Great and lesser gods," said Tancred. "In the morning I will send out scouts to confirm the path of Valdon&apos;s flight. Then, we will retake Breg. Is all prepared?" This last was addressed to Holle and Philomena. "As we discussed," said Holle. Philomena nodded her agreement. Rainhart looked at her, feeling a weight in his gut. He&apos;d read something else from the minds in Breg. Something about her. "Well, it&apos;s time we all got some sleep," said Tancred. "Rest well, my friends." "Good night, your majesty," murmured the others. As Tancred turned to leave, Rainhart held out his hand. "There&apos;s something else I need to tell you." Tancred looked at him, then nodded. "If you&apos;ll excuse us." When the room was empty, he said, "Well?" "Valdon was busy," said Rainhart. "It was not only about you that he sowed rumours." 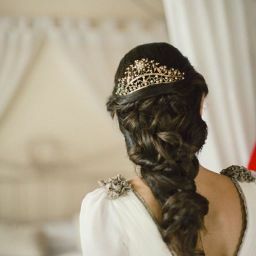 "He must have known we were in Jovan, and perhaps have guessed at why Lady Philomena was with us." Tancred leaned his hands on the table. "You spoke of rumours," he said. "What rumours?" Lacing his fingers together, Rainhart said, "I consider this malicious slander, nothing more. I brought this to you because it you will know how to handle it." "What are they saying, Prince Rainhart?" said Tancred, his fists clenched on the table. Rainhart took a deep breath. 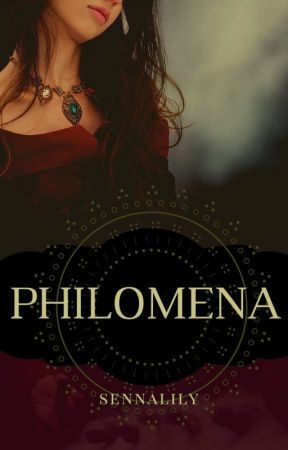 "That Lady Philomena is not who she says she is." Rainhart held his horse on tight reign to keep her from fidgeting as they waited on the meadow outside Breg. He was beside Tancred, with the standard-bearer on Tancred&apos;s other side. They stood a hundred paces from Breg&apos;s thick walls, and behind them clinked and rustled the assembled strength of the Teuta. Rainhart looked along the line, identifying each of the houses by their standards. The Jovanis were in front, shields up, watchful. Tancred nodded and a herald waving a parley flag rode forward from the ranks. The herald shouted, "His majesty Tancred Ansgar, the uncrowned King of Deusetats, wishes to speak with the leader of the Breg garrison. We know Valdon the Usurper has fled Breg, and that two hundred men or less guard its walls." There was no response from the garrison, although Rainhart could see figures moving about behind the battlements. Eventually, an arrow thudded into the grass beside the herald. He dismounted to pick it up, unwrapped the slip of paper around its shaft, and rode back to the lines. "Your majesty," he said, offering the message to Tancred. Tancred read it, frowned, then handed it wordlessly to Rainhart. It said, It will be an honour to die guarding this city from the regicide. Rainhart folded the piece of paper.